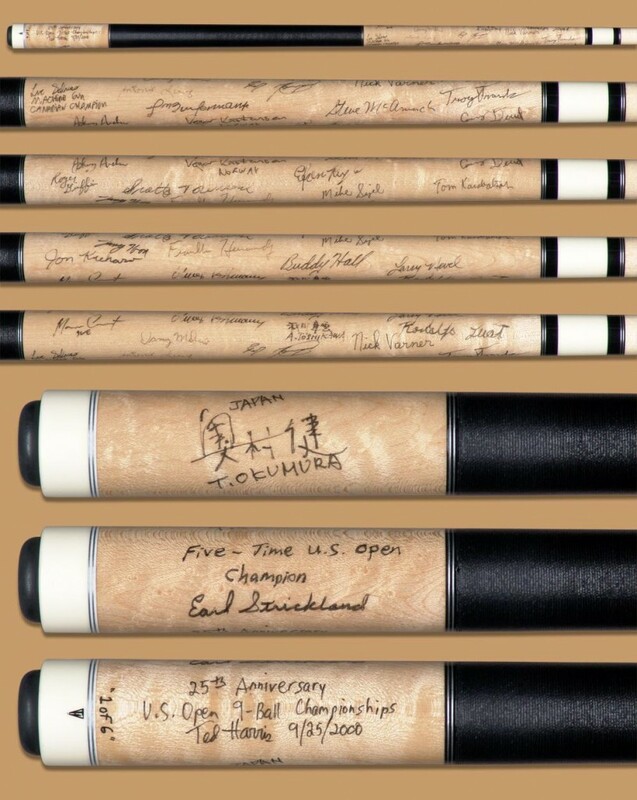 The cues are signed and titled “1998 US Open Series” by Ted Harris. 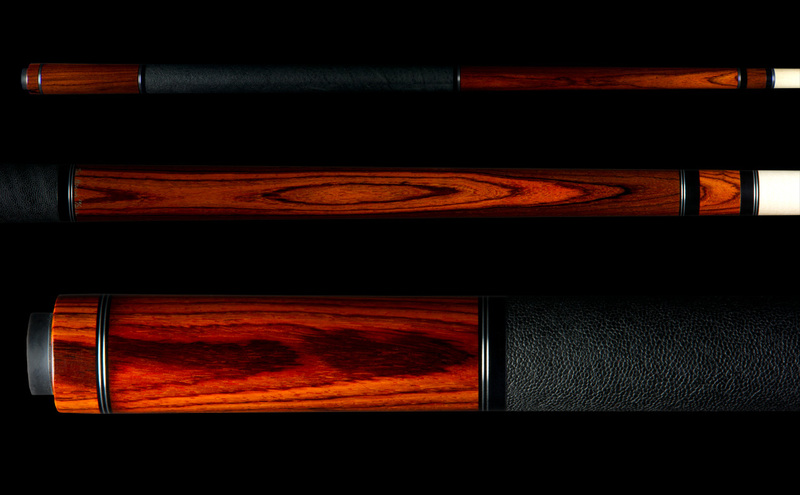 The cues are numbered in series from “1 of 6” through “6 of 6.” Just look at the signatures on this cue! Unbelievable!!! 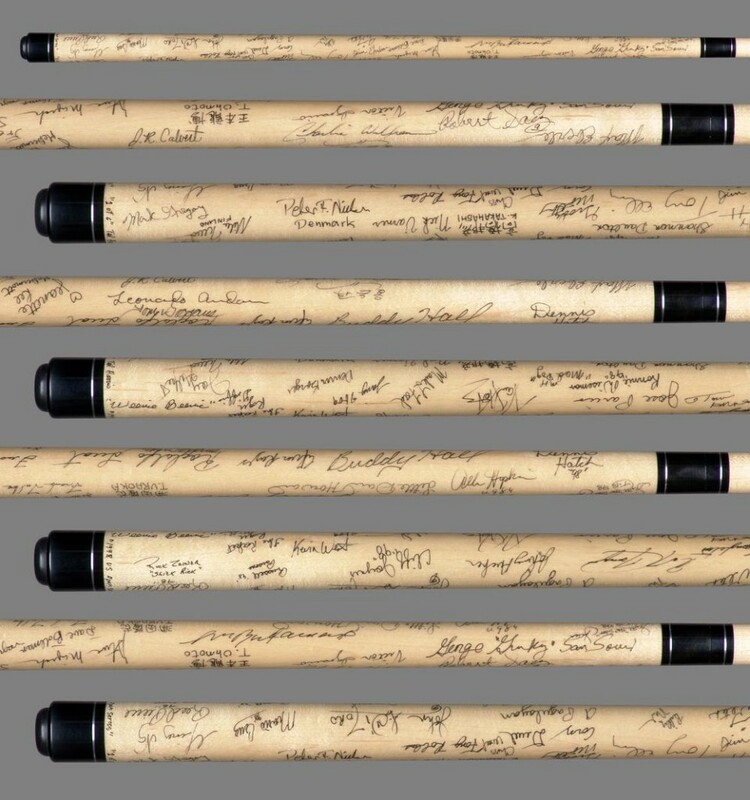 This cue has 60 random signatures from players that attended and/or played in the tournament. This series has without a doubt the most comprehensive list of professional player signatures in history.